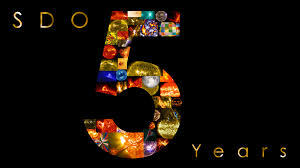 This week sees the fifth anniversary of my working in the same job and for the same company. Don’t misunderstand me; I love doing what I do. I guess this is one of the reasons why I have kept at it for so long. It has been, however, a long and difficult year due to significant organisational changes which are unlikely to abate. Now the nights are drawing in, following a non-summer and I am probably not the only one to be suffering SAD? So when I found this on you tube I just knew I had to include it into this week’s Blog. What amazing lyrics, I have always admired how Bowie manages to collate such random, eclectic ideas and turn them into something so powerful. I am sure that everyone will have their own story or memory that will connect with the sentiments as they see them. I remember playing this over and over in the late 70’s when I was going through those difficult late teenage years. You know the “you treat this house like a hotel” ones. This year, I have felt like I have been behaving a bit like a teenager. I am smiling now with a little situational irony! I think I’ll explore irony a bit more next week. In the meantime I’m going to listen to it again – want to join me? This is a later version ….